K D Sethi is a dark old horse that has been a part of and an intimate witness to some of the most important political events in Jammu and Kashmir. TASAVUR MUSHTAQ interviewed the ageing communist leader at his Jammu residence to take a trip down his memory lane. KL: Sethi Sahab what can you tell us about your life? K.D.Sethi: In the 85 years of my life, 70 years have been spent in politics. Basically, I am from Mirpur, were I spent my childhood. In the whole Jammu and Kashmir, Mirpur was downtrodden and economically very backward, but the area was anti-Dogra. When Gulab Singh invaded that place, there was stiff resistance. The people of that area were oppressed and subjected to worst treatment. Feudalism, landlordism, moneylenders, everything was there. And there was repression from the British government and Maharaja as well. We were in school those days, and this ill treatment did not let us to be mute spectators. We started resistance against this oppression when our age was just around 15 years. There was no other party except the National Conference on the ground with tall personalities like Sardar Budh Singh, Raj Muhammad Akbar Khan, Maulana Abdullah, Hajji Abdur Rehman and Hajji Wahab-ud-Din. In that struggle we went to jail several times. During the ‘quit Kashmir movement’ we were in jail for two years. The aim of our struggle was end autocratic rule of Maharaja, feudalism, moneylenders, landlordism, and to establish democracy. Then we came here in 1947 and the main problem at the time was communal riots in Jammu, though there were none in Kashmir. On that side non-Muslims suffered and here Muslims were subjected to worst treatment. The biggest task was to restore normalcy, maintain communal harmony and rehabilitate people coming from the other side. With help of friends here we did the job. Sheikh Sahab (Sheikh Muhammad Abdullah) appointed me as rehabilitation officer for Rajouri and Poonch. Azad Kashmir was first brought under control were non-Muslims suffered. When army came, Muslims were targeted on this side. 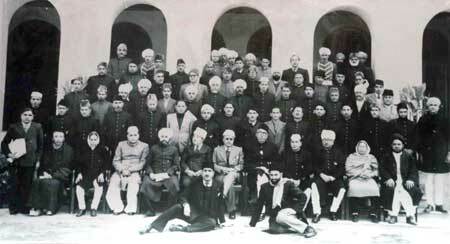 In Jammu the National Conference was just for the sake of name those days. We constituted it and I served as provincial general secretary and Sardar Budh Singh Sahab as president. The NC we formed here was in real terms a coordinated party. We faced strong resistance from landlords, feudalists and moneylenders. 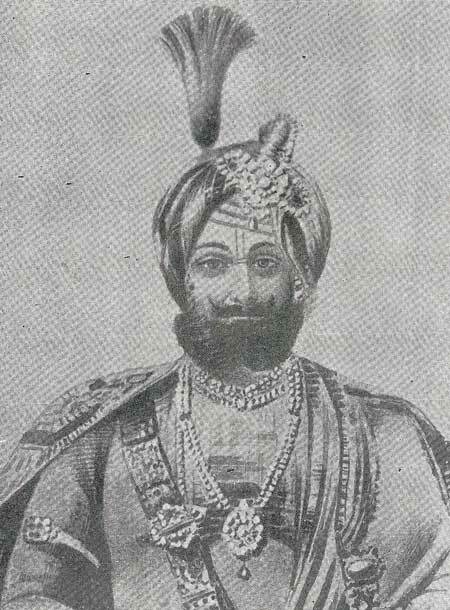 They were scared of losing power – Dogra Raj. In those compelling circumstances, we united farmers and had land reforms. Here NC in real terms eroded the forces of repression and got rid of moneylenders, feudalism, landlordism, etc. In 1953 we had differences with Sheikh Sahab. We separated. That is the long tale. Afterwards, during Bakhshi’s (Bakhshi Ghulam Muhammad) time, Muslim dominated areas of Kashmir were repressed. It was a time of corruption, bad administration and atrocities. We raised a voice against it all. In Kashmir the discontentment against Indian establishment and establishment of government of Jammu and Kashmir may have been used by secessionists and in Jammu by Sangh and others. Bakhshi has already ruined everything. That is a long debate. We later formed Democratic National Conference (DNC). Sadiq (Ghulam Muhammad Sadiq), Mir Qasim and D P Dhar joined us. In the assembly we had 19 members. Our idea was to have a secular and democratic opposition and a secular and democratic government. But the people from Kashmir who were in DNC could not resist power, they left and joined the NC. From Jammu, Master Girdari Lal also left. Government of India (GOI) also failed to understand the technicalities and the compromise was done between Bakhshi and Sadiq. When Sadiq and others left, we already had leanings towards left politics – communist party. We joined them and keep the resistance going. There again two factions emerged – CPM and CPI (M). We were with CPM. Both the factions also diverted from the actual path of communism. They became part and parcel of the establishment. Then we came in touch with the naxalite movement and kept the resistance on. During India and China war Sadiq managed to put us behind bars for two and half years for advocating dialogue rather than war to deal with the crisis. We also advocate the same in case of Pakistan. The naxalite movement also got a setback when Charu Mazumdar – the main leader did not accepted Marxism but tried adventurism. You would like to cross check facts, but let me tell you clearly, we don’t believe in the parliamentary path. Parliament and assembly won’t change anything because in India and here as well, not one parliamentary party can remain in power. Congress, Janta Party, BJP , came to power. The same thing is happening in the states. See in our state, National Conference, Congress, PDP ruled but the problems of people were never solved. The reason of this is that every party represents ideologies like capitalism, feudalism and also internalization. Representing these motives is their policy. In India, both UPA and NDA ruled, but their policy is the same. That is why we reject parliamentary system and say this system won’t yield any positive result. To have change, we need to have revolutionary struggle. To us, CPI and CPI(M) are not real communists. They are Hippocrates, like in Islam there are bidatti. They are actually part and parcel of establishment. As far as Jammu and Kashmir problem is concerned, our viewpoint is very clear – it is a dispute. Dispute between India and Pakistan on one side and on the other the right to self-determination to a nationality. Religion, region is not the criteria to grant this right. The problem here is the perspective that we don’t have one nationality. We have five – Kashmiri, Dogri, Gilgit-Baltistan, Ladakh and areas of Mirpur, Rajouri, Poonch and Azad Kashmir. We believe only dialogue is the way out to this vexed issue. Personally I feel Independence is the good option. KL: What happened in 1946 that you left Mirpur? Sethi: See, everything revolved around the accession. When the whole country revolted, the British came under pressure and there was compromise – between the Britishers, Congress and Muslim League. The conclusion was to divide India. About different states, it was said that there rulers, the Maharaja in our case, and not the people would choose. The ‘Quit Kashmir’ movement was that people should decide their fate and not the ruler. When Partition happened the tried to continue with his autocratic rule and did not want independence for the people. Then emerged the issue of accession and a part of Punjab was involved. The riots in Punjab started to engulf Jammu as well. In Jammu the Muslims had to bear the brunt of communal riots and on the other side non-Muslims were victimized. 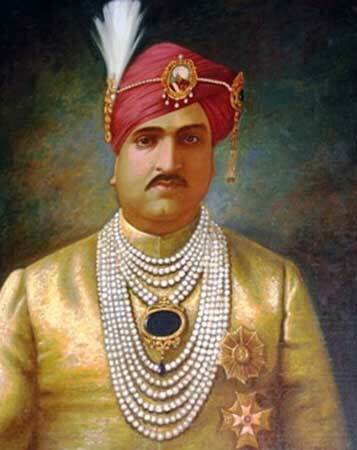 Without any doubt I would like to say which no one else will, that Maharaja also contributed his bit in facilitating anti-Muslim riots in Jammu. That was the reason why many Muslims were killed and many more migrated to Pakistan. Similarly non-Muslims from other side came here (Jammu). That time we were in jail. People of Azad Kashmir broke the jail and facilitated our release. Many people there were exceptionally good, like Major Ali Ahmad Shah, who later became president of Azad Kashmir. They tried to hold us back there. But there were mischevious elemnents as well. Thus we came here. The basis of everything was Partition, communal riots, accession, Mahraja’s anti-Muslim policy. In all this the role of Kashmiri people was appreciable and they made me proud. KL: In your book Yaad-e-rafta which is not available now, you have mentioned about an incident when Sheikh Muhammad Abdullah came, while talking about rehabilitation of the destitute? I blundered and went to Sheikh Sahab. I requested him to try and hold them back as they could live here. The next day he issued an order and deputed me as rehabilitation officer Poonch- Rajouri in grade of 420-600, which was the maximum at that time. Sheikh Sahab scattered them. He moved Chadhury Ghulam Abbas and Allah Rakha Sagar to that place (Mirpur) and Brigadier Kansara Singh, Sajail Singh, Colonel Majeed Durrani Sahab to this place (Jammu). Sagar knew everything. Many people left from this place, including Muhammad Alam. Sagar wrote to me asking to do something for rehabilitation of Muhammad Alam. With this letter was another postcard, in which was written that at last this land of Mirpur is ideal for fools. He mentioned that you (Sethi) talked to Sheikh Abdullah and he has sent us to that place. I personally feel that if Sheikh Sahab had intervened, many would have stayed back. We tried our level best, but could not control it. KL: Where you satisfied with the process of rehabilitation after communal violence and migration? Sethi: There were two types in that. One, Rehabilitation of Muslims who left this place. In Rajouri we did rehabilitate. There were conspiracies against me. Bakhshi played a negative role but Sheikh Abdullah played positive one. They framed a fictitious letter mentioning about arms and ammunition. As if there was reply from Betiyaar of Telengana saying that the arms and ammunition you have send for movement reached safely. In letter it also was written that you are rehabilitating Muslims which is very good and appreciated by Chinese government. Actually in that was internal politics of NC. The letter was caught and the army arrested me. Major General Misri Chand had his residence in fort of Rajouri and I was kept there. What they held against me was that I played an important role in rehabilitating Muslim population there and convinced Hindus of surrounding villages to live in harmony with Muslims. During the night, a subedar of (Kashmir) militia who was there informed me that I would be shot if I went out in the night. Those days there was no communication except roads manned by the army. But we had a comrade Inayatullah from Tral, he in the month of November when there was snow crossed and informed Sheikh Sahab. Sheikh Sahab told Nehru that he (Sethi) should be released within next 24 hours. He sent General Yadunath Singh and Sarabhai to take me along. They came here and talked. Major Misri Chand who arrested me was demoted, but he resigned. Local civil administrator Uday Chand was prematurely retired. D.N. Koul was the SP, he was transferred. Sheikh Sahab asked CID people how they have taken the letter which has no ground. The issue was raised in the cabinet and Bakhshi was exposed. The CID men were dismissed. KL: Tell us about Ghulam Qadir Banday who was in Poonch those days. Sethi: His role was detrimental as far as we are concerned. He also came in that transfer policy. He was a friend and member of the working committee. He provided evidences to Army and Sheikh Sahab knew it. He was posted as labor commissioner. I forgot what he did. I have good relations with his family. Muhammad din Banday who was his brother-in-law and was minister also, his sons are now in PDP, I have friendly relations with them. Sheikh Sahab did not forgive him. When Sheikh Sahab came (back to power) the second time, he tried to become district president of NC, but he was not allowed. Before 1947 he was with NC with Bakhshi and not with Sheikh Sahab. He too was against us. KL: NC says that the role of D P Dhar regarding Kashmir was not positive. What would you say? Sethi: D P Dhar was a friend of mine, but he was associated with Indian intelligence. When there was agitation of Praja Parishad, he was backed by home ministry. One day in the assembly he sponsored a lecture against me. Sheikh Sahab gave a speech against me. I told him in the assembly, you talk against me at his behest, but there is a proverb, Kashmir aabad Dhar barbaad, Dhar barbaad Kashmir Aabad. Though he was a friend, but he played a double role. Actually he did everything to safeguard the interests of India. 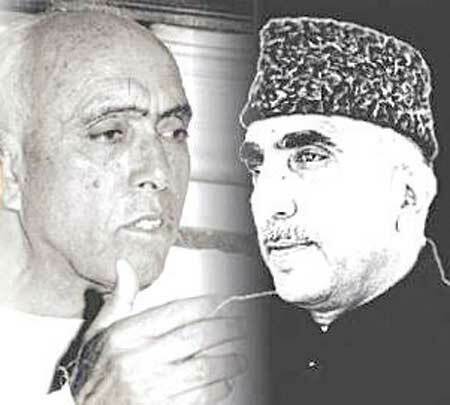 KL: In 1953 when Sheikh Muhammad Abdullah was arrested from Gulmarg in Kashmir conspiracy case, What happened around that time? Sethi: Two things happened. One, government of India was expansionist. They tried to get more out of the Delhi Agreement. Like there was no jurisdiction of Supreme Court, Election Commission, financial jurisdiction etc. They tried to get that. The agitation of Praja Parishad was sponsored by the home ministry. Second, till 1953 there was no corruption in Sheikh Sahab personally. Compared to that Bakhshi, Shyam Lal Saraf and others were corrupt. Bakhshi spread corruption like anything. Sheikh used to have his hand on the pulse of people. On the other hand (Ghulam) Mohiddin (Karra) formed his Political Conference along with Maulvi Ghulam Nabi Hamdani. Peer Abdul Ahad who was the elder brother of Peer Gayas-ud-Din was an agent of Mohiddin. They had leanings towards Pakistan. Under there pressure, in the backdrop of Praja Parishad agitation and isolation of Kashmiris, Sheikh Sahab again started to speak against India, but he did not talk about separation from India. Pro-India people, like us, decided not to speak about it in the working committee. We let him speak. Seikh Abdullah could have preferred independence but he was not for Pakistan. I was told that Sardar Budh Singh Maan should remain silent in the working committee. I told Sardar about this, but he could not understand what I said. Sheikh later said I see no difference between Shayama Prasad Mukherjee and Nehru. Sheikh too was at fault but there is no doubt the game plan was to get him out. That was a turning point and with that started opportunistic approach of Sheikh Sahab. He left the idea of plebiscite and talked about accession. He talked about this to me, I said in a meeting that to decide about accession, the time was 1947 and not today. I said that now you had decided, we left out place of birth, now it is not possible. When government of India started to pressurize him again I told him, Sheikh Sahab I am an atheist but you are a religious person. In Islam if you experience bitterness from enemy once, don’t give him the same second chance. If you want you can, but why should I? That was a blunder of Sheikh Sahab to go again. People though were shouting Zind aabad but underlying they knew that Qaumein Farokhtand, chi arzean farokhtand. KL: What happened in 1975 when Sheikh Sahab came back, do you think 1971 was a reason? Sethi: Yes the war has its effect. Sheikh Sahab felt Pakistan has become weak and cannot do anything. It is better to compromise. But betrayal was there. He diverted from right of self-determination to only autonomy. You cannot justify that. KL: From 1953 to 1975 National Conference launched a campaign of right to self-determination. Did Sheikh Sahab support that? And did one old IB director in his book say that it was funded by Pakistan? Sethi: Yes, that was supported completely by Sheikh Sahab. Pakistan used him but he never was with them. Founder president of Azad Kashmir Abdul Khaliq Ansari, who was an old NC man. Farooq Abdullah in Mirpur in a lecture said that if my father will leave right to self-determination, I will take it forward. This was just before he stepped in power. Khaliq Ansari remained in jail there for 18 years. What you see this Liberation Front, this all emerged from that Right to self-determination. In his book Jahad-e-musalsal, Amanullah Khan talked about all our comrades who were there. Pakistan also never strived for independence of Kashmir. From border of Jammu and Kashmir, Islamabad is at 5Kms distance, why should they prefer Kashmir to be independent. Water of Jehlum is a lifeline for Pakistan. Pakistan has share of 33 percent on water of Mangla Dam. Mirpur is contributing 40 percent to the foreign exchange of Pakistan, they are using it tactfully. KL: Tell us about the holy relic movement of 1963. Was that an accident or a conspiracy? Sethi: To me that was a conspiracy. Who stole it, we never came to know. What the movement resulted in was Sadiq became chief minister, Bakhshi was eradicated and Sheikh Abdullah was released. Maulvi Sayed and Merak Shah did the Identification. That was the conspiracy to eradicate Bakhshi and get Sadiq back, and then to dominate Sheikh Abdullah and force him into compromise. KL: When in 1975 Sheikh Sahab came back, he was very weak politically. He was not Sheikh Abdullah of 1953. Sethi: He had fallen. It was like selling the nation. If instead he would have died, people of Kashmir would have treated him like an angel. If he would have taken stand for the cause he started with, people would have treated him like a saint. You know after that everything ill came in life of Sheikh Sahab like making Farooq Abdullah his successor, amassing huge wealth. Initially these were not his traits. KL: The NC always talks about autonomy and there was a movement for it. They want to have autonomy in a federal structure. What happened to that movement? Sethi: They sold it. They worked only to fill their own pockets. Sadiq remained chief minister for 11 years, Bakhshi also spent the same period in power and Sheikh Abdullah also remained in power. They earned everything out of it. Only three persons were selfless. Raja of Mirpur, Muhamaad Akbar Khan, Sardar Budh Singh and third was Maulvi Sayed. We had political differences with Maulvi Sayed, but he did nothing for himself. KL: What do you have to say about the separatist movement in Kashmir and the Governmenet of India’s response? Sethi: This all is a mere eye wash, they won’t give anything. The struggle of the people is right. They have given sacrifices for a cause. No nation can afford to give such a huge sacrifices, but their leadership always betrayed the people of Kashmir. Not only Sheikh Abdullah but every sort of leadership betrayed them. There is no example like the sacrifices of people of Kashmir. They presented best example of cooperation. Post 1989 every pro-India element there was eradicated. They are not pro-Pakistani, but the treatment they met in India like in case of services of income tax, sales tax, insurance, and banking has been discriminatory. The discrimination effects and Kashmiri feels alienated. There is resistance against repression by India in Kashmir. KL: What were the changes you found in Sofi Muhammad Akbar off late? Sethi: He understood then that Sheikh Abdullah is not doing the right thing. Till that time he had a notion that by suppressing pro-Pakistan movement he is helping the cause of Kashmir. The struggle was there for 365 states to give them right to choose. Honestly, Sheikh Sahab also tried for it. I don’t buy the argument of newspapers that he was having plan with Nehru. The so-called communists joined the Muslim League, like Mian Iftikhaar-din and Dr Muhammad Din Taseer of Punjab. Sheikh Sahab sent Sadiq to talk with them that there is no need to attack or so. We need to get out of the clutches of Maharaja, then we will decide. In the meantime, there was tribal invasion. Kashmiri people perceived that Pakistan wanted to sabotage their independence. Then Sofi Sahab must have thought when Sheikh Sahab did, why should not I. I don’t blame him. No doubt off late his ideology was changed. KL: To what extent do you find ethical values in politics of present times? Sethi: There are absolutely no values. I say that entire parliamentary path is corrupt. Until there is no revolution, nothing can happen here, this is my personal opinion. Whatever is happening in entire India, the same is happening here. There is no difference. Whosoever comes to power, basically they represent feudalism, capitalism and imperialism. Kl: Sethi Sahab you believe that Sheikh Sahab was on right path from 1947 to 1953. You said that Sheikh Sahab was an instrumental leader. But in the constituent assembly formed after 1947, he was nominated. How can that be termed as democracy? Sethi: Not only after 1947, but he was right from 1931. See what happened. Two things are there, In Kashmir there was no opposition. The only organized political party was Muslim Conference led by Maulvi Yousuf Shah. He left for Pakistan. Who was there to oppose? In Jammu though there was Praja Parishad, but that was not powerful. Out of fear they withdrew their candidature. The election of 1957, at least in Jammu was fair. But not in Kashmir and Muslim dominated areas. In that Praja Parishad got around six seats, that too because of our fault. At that time there was double member constituency. We and Bakshi had grouped up. In Jammu’s lower constituency, our candidate took the upper seat as was the lower seat. Our candidate was Wazir Ram Saran. Bakhshi put forward his candidate and votes were divided, that benefitted Praja Parishad. In Akhnoor what happened was Bakhshi got ticket and we also fielded candidature as independent. Praja Parishad was composed of upper caste. In Kashmir there was no party, Muslim Conference members left and some were compelled to migrate. In Tehsil of Budgam, which is now a district there was Peer Zia Ud Din, he left. In Baramullah there was Qazi Abdulm Gani, he left. In the city there were Maulvis, they too left. In other parts of the city and in Anantnag, there was influence of National Conference without any doubt. KL: The Indian Army says that when they were chasing Tribal invaders in 1947, they were in a position to cross Uri as well and Sheikh Abdullah stopped them? Sethi: How could he have stopped them. He was helpless and had no control over the Army. Actually in this area there was no tribal attack. There was only resistance at local level. That movement was hijacked by Pakistan, otherwise that was against Maharaja. There was a ceasefire, actually GOI’s scheme was to capture road of Uri, Kotli, Mirpur, and Poonch. When Army found the tribals, they broke the bridge in Punjab and were left with no option. KL: Sethi Sahab tell us about the conflict you had with Sheikh Sahab in 1953? Sethi: Actually the expansionist policy of Government of India was continuous. They were pressurizing Sheikh Sahab, this was one reason. The other was due to repression and corruption at lower levels, people were alienated from Sheikh Sahab. Also Mohuddin Karra had formed the Political Conference who were giving pro Pakistan slogans. Sheikh Sahab also started to talk about things which were beyond autonomy. In the working committee meeting I told Sheikh Sahab that the issue of accession was to be decided in 1947 and now anything up to autonomy will be supported. In 1975 he said that he is fighting for autonomy, though he formed right to self-determination front. In this era people of Kashmir and government of India were separated. Our opinion was to talk about the issue as a dispute. We were against the arrest of Sheikh Sahab. They told us he is agent of America, and we also said the same. We resisted a merger. Sadiq arrested us. When we were told to work again, I rejected. After 1975 the role of Sheikh Abdullah was personalized. He after taking movement to the sky, made it to fall like anything. KL: Why did you come out of active politics? Sethi: That is not the case. We are still in active politics. But our way of doing things changed. We came out of parliamentary party politics. We do work but left the process of elections. We will fight for our principles. life based on your encounter with Kashmiri veteran. Referring to a living legend as an ,old horse’ is disgraceful haven’t you leant to respect elders. 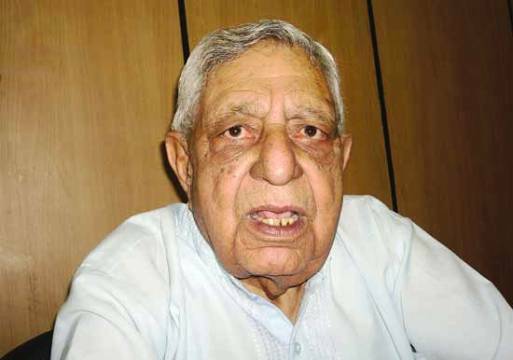 Krishan Dev Sethi is a hero and living legend of the Kashmir freedom movement. He hailed from Mirpur district of Jammu province and joined active politics at the age of 15. He became comrade of Raja Akbar Khan who was a man of distinguish character, fire brand leader and a symbol of resistance. He was a political teacher and mentor of KD Sethi, operating with ‘Hazrat Moulana Abdullah Siakhvi’ and ‘Mohatama Budh Singh’ against the The tyrant system (Zalmana Nizam). The objectives of the movement are well reflected by the four popular slogans of the time; ‘Maharaja Murdabad’ ,’Sahokara Murdabad’, ‘Jageerdara Murdabad and ‘Awami Raj Zindabad’. Simply, denouncing monarchy, feudalism and moneylending for establishing rule of the people to ensure freedom. They mean it and use all possible means for the cause of freedom including ‘agitation’. As a young activist, the act of KD Sethi against moneylending is still appreciated for the moral courage and commitment, he displayed by burning the ledgers of the money lenders who were closely related to him. He instantly became a hero, that day of 1940s. Even today people of Mirpur love and praise him. He is respected even more because he is the only political leader who did not make any compromise in sixty five years of struggle for the cause and has become a beacon of hope for freedom in erstwhile state of Jammu, Kashmir, Gilgit, Baltistan and Ladakh,.